Irrfan Khan has never let his audiences down. 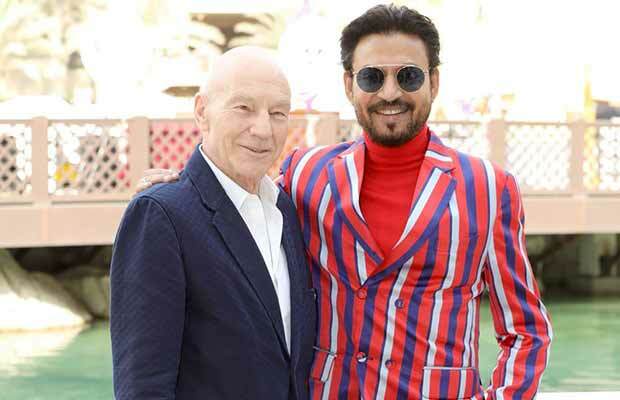 From working in Hollywood films to making us proud by winning awards at international film festivals Irrfan Khan has never let his audiences down. Adding to his list of achievements, Irrfan Khan recently was honored with a special award for his ”incredible body of work” at the Dubai International Film Festival last week. Sharing this honor with him were two other international bigwigs, Sir Patrick Stewart and Hollywood royalty, Cate Blanchett. The 14th edition of the fest celebrated the works of Irrfan Khan, Stewart, Academy Award-winning Australian actor Cate Blanchett, and Egyptian writer Wahid Hamed. Adding about his meeting with Stewart, Irrfan said, ”It was a pleasure to meet him, and to be co-honored alongside someone as talented as him.” The actor had previously spoken about being delighted to share the said award with Cate Blanchett this past week. The festival also witnessed a special screening Khan’s relationship drama, ‘The Song Of Scorpions’, which has been directed by Anup Singh, and it also stars Golshifteh Farahani and Waheeda Rehman in pivotal roles.